9:00 am the doorbell rings. You know who it is because it happens all the time: somebody wants to talk to you about the Bible. 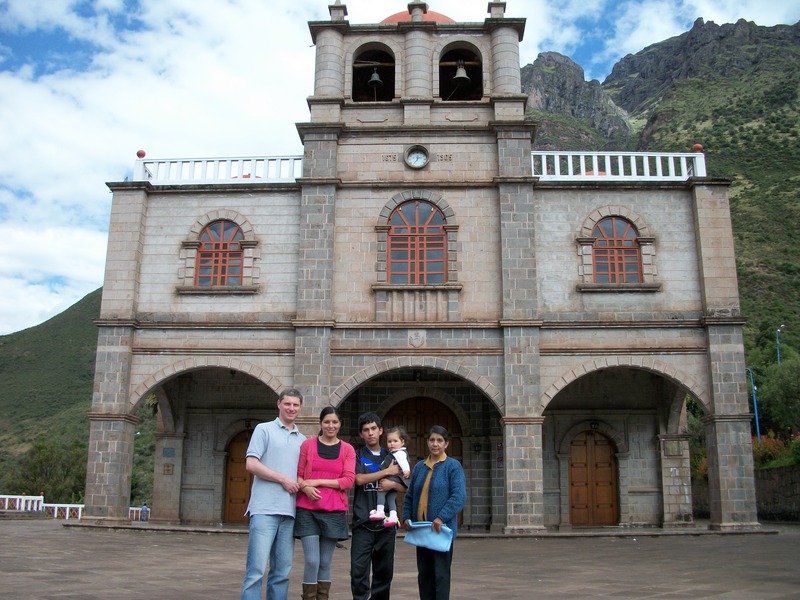 American (US) churches are relentlessly proselytizing in traditionally Roman Catholic Peru. Many homes have stickers on the door saying “we are Catholics, don’t bother”. About once a month somebody will come to our house, I usually say that I don’t have time because I’m trying to get the kids dressed and off to school and all that good jazz. Now don’t get me wrong, I respect when someone has a strong faith and they want to share that faith with others. But the truth is, it doesn’t always feel that way. The proselytizing by US churches here in Peru has almost a corporate feel to it, a strategic plan kind of feel. They know the population here is young, the economy is growing, and that many Peruvians are receptive in a very mundane kind of way. On flights back and forth to the US, I’ve sat next to Americans who came on missionary trips quite often. Many times they struck me as just nice people who wanted to come speak about their religion and do some humanitarian work. I’ve sat next to a doctor and a dentist who had come to spend their vacation in a small town providing medical work. They let it be known they came out of religious motivation, but in a respectful way. Of course that was a dead give-away that I was a Catholic, and US Evangelicals have a very different theology, all about good vs. evil (and then they wonder why they’ve been practically non-stop at war for the past 70 years). I know that wasn’t very tactful of me at that time but before you get offended ask yourself: when you’re enjoying a nice day in the park with your family, or when you’re rushing to get ready for work in the morning, would you be appreciative if somebody came to your door to talk about the Tipitaka or the Upanishads or the Qur’an? Would you really? What if they came every month? If you knew they were coming because it was part of an assignment? Almost like a corporate scorecard? I respect people who have a strong faith and want to share it but please do so with respect for the culture you are in. One thing to realize is that 500 years after the Spanish conquest of the Inca empire, much of the Roman Catholic religion here in Peru remains influenced by the ancient Inca culture. 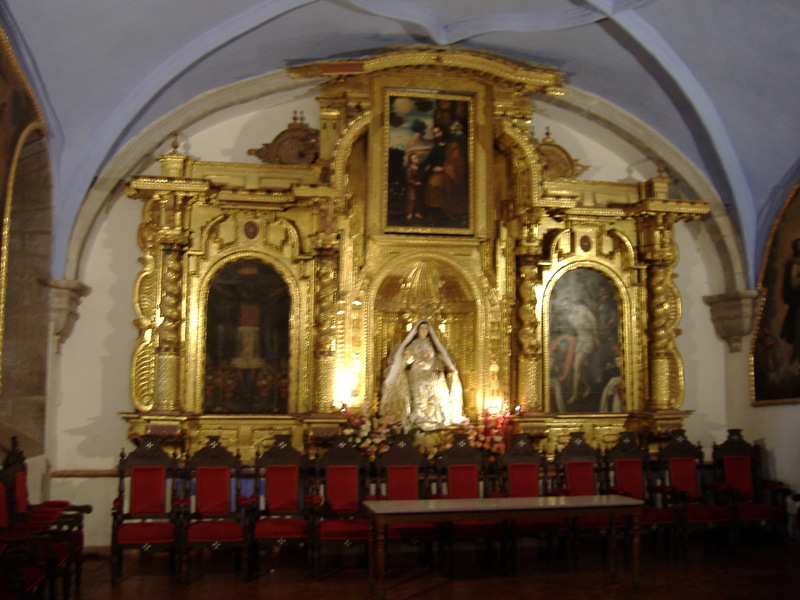 In churches in Peru you will find lots of gold, images of the sun (for the ancient Inca sun god Inti), etc. The traditional images of the Roman Catholic church, such as the Virgin Mary or Jesus on the cross, are typically adorned in strong colors and gold, much like the traditional Andean culture and festivals. 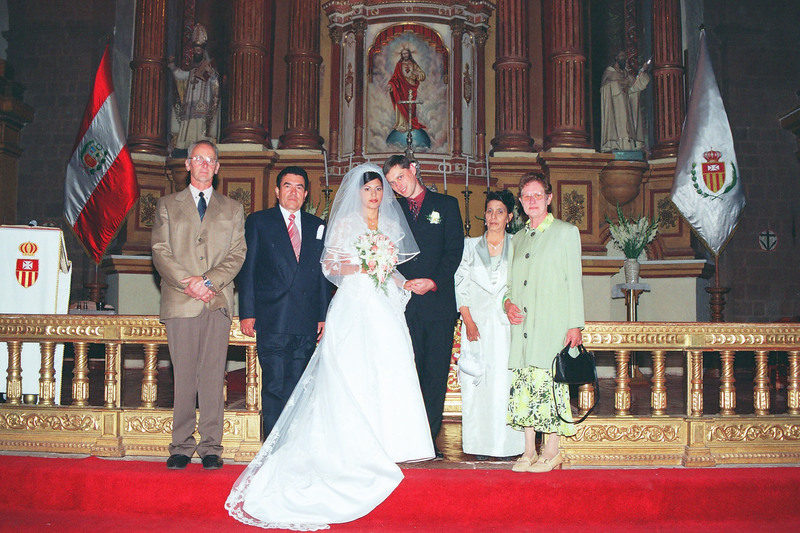 Many current religious festivals have their roots in ancient Inca traditions. All this to say that changing someone’s religion isn’t easy, the number of people you sign up may not really reflect the adoption of your message, especially if that message is delivered with little understanding or respect of the current culture and religion. Inside the Catholic churches in Peru you will find a lot of gold as well as images of the sun, a reflection of the historic Inca culture. 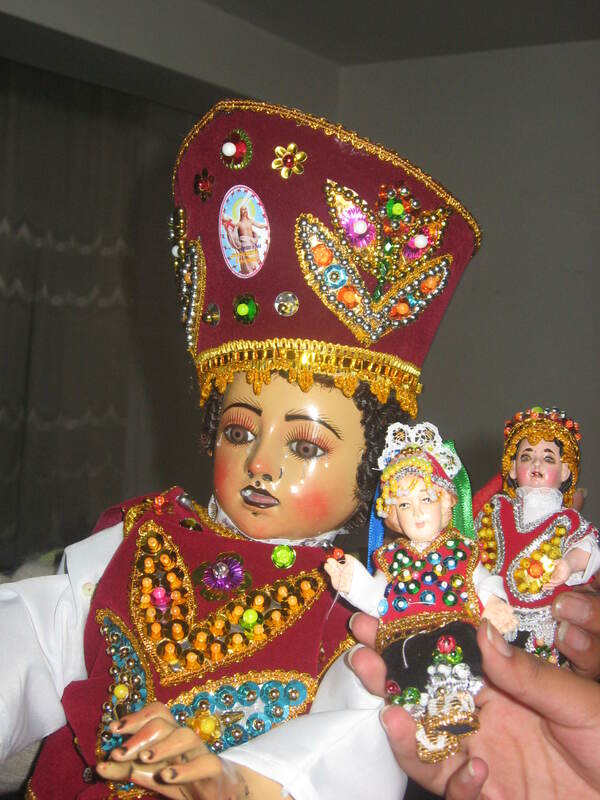 Typical Andean baby Jesus figure. The shrine of Señor de Huanca. It is believed that here God made His home among men. 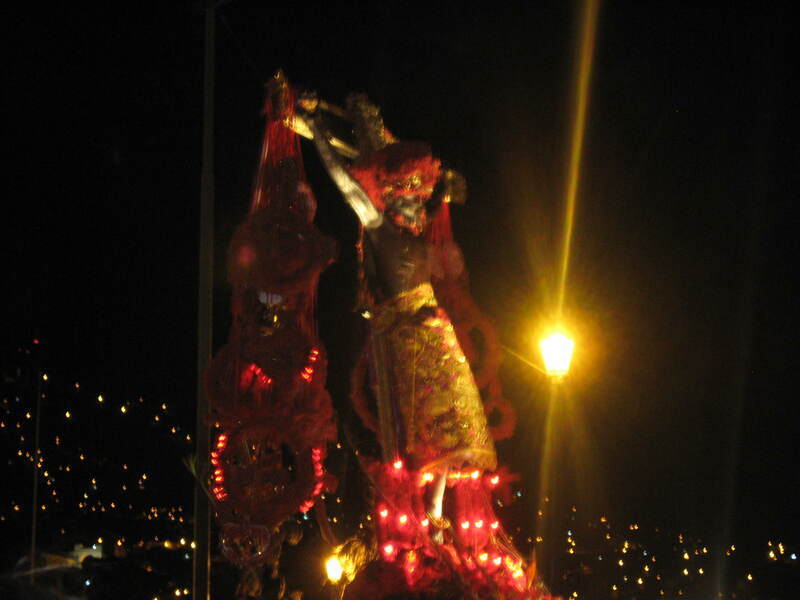 Señor de los Temblores – in Quechua “Taytacha Temblores”. One of the best known images of Cuzco. 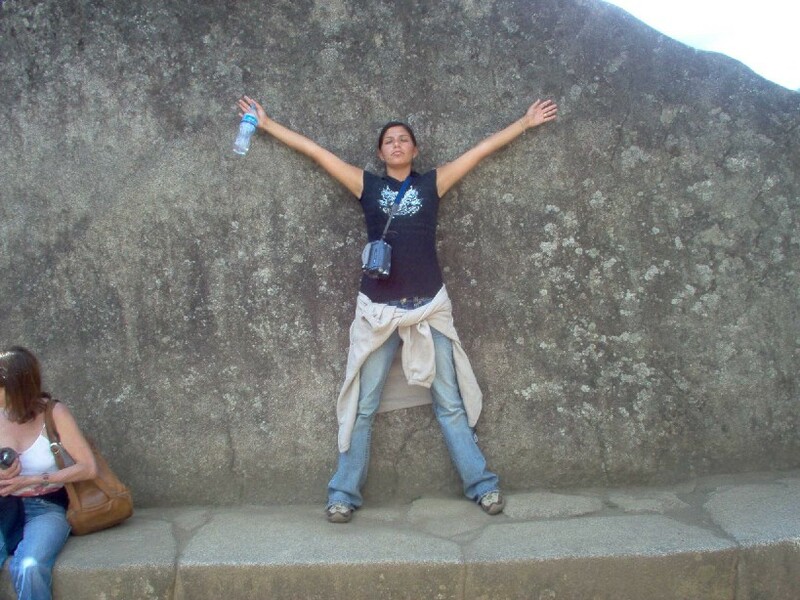 It is believed that if you stand in this spot in Machu Picchu with your arms raised to the sun, that you will receive healing and strength from the sun. This entry was tagged churches, Peru, proselytizing, religion. Bookmark the permalink. FWIW, these days here it’s 1) I hear doorbell 2) I open door 3) I see who it is (don’t even need to hear a word, the clothes and accessories are more than enough) 4) I close door. No words, no “thanks but no thanks”, no engagement at all. It doens’t matter what I do/say/think/feel, they’ll be back again before the month is out. I elect the nihilist option with these people. Glad they haven’t made it to Huarocondo yet, but I am sure they will someday.